Cafeterias, Nursing Homes, Schools, Etc. option on the Battery Bio-Injector. Attention grease trap customers! order Bio-Safe One Bio-injectors for easy grease trap CLEANING AND Automatic product dispersal! Bio-Safe One, Inc. is leading the industry with field-proven drain and odor control chemical dispensing systems. Our Bio-injectors are known for their reliability and durability in the field and are backed by a solid one-year warranty. 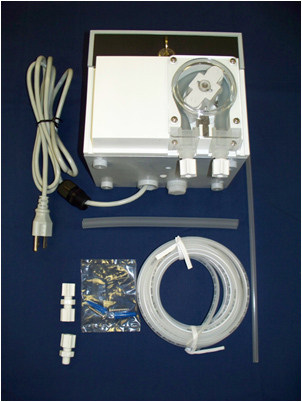 The 110-Volt Bio-Injector is the best known dispenser in the industry for grease trap maintenance.